Since starting this blog in March of 2010 till the present, I have taken off 15 pounds, from 165 to 150 following the principles laid down here. You can do the same. Taking off and keeping off pounds has as much to do with how you are thinking as what you are eating. Please read my post Bob Dylan on Weight Loss before you start. You are responsible for your condition. It’s not bad genes. It’s not your fat uncles. It’s not those diabolical food manufacturers. It’s you. Take responsibility for your weight and your health and your life. Don’t play the blame game. Everyone seems to forget that healthy eating is healthy aging. It is the perfect example that an ounce of prevention is worth a pound of cure. By eating intelligently you head off many of the diseases of aging before they ever get established. Most people want to lose weight for reasons of vanity – to look better. They forget that shedding unwanted pounds will also help them to feel better and enjoy life more – and very likely live longer, too. One of the key concepts to understand is that exercise is not optional to good health, it is essential. If you are not exercising you are setting yourself up for a world of hurt and more doctoring than you would like in the not too distant future. Your perspective is important. Check out my post How the Right Perspective Can Jump Start Weight Loss for a running start on weight control. 1. Yoyo dieting is more harmful to your system than just staying overweight. When you gain back weight you are replacing muscle with fat. Take responsibility for your situation. Forget short term solutions and quickie weight loss diets. Most don’t work and the ones that do don’t last. Make a commitment to fixing your weight situation for the long term. Do it one day at a time. Remember, that’s how you put the weight on. I wrote this post in April of 2015. It is a good summary of my idea of successful weight management after writing this blog for five years – Why People Fail at Losing Weight. 1A. If you are overweight and want to drop pounds you can do it reading this blog and using the tools offered. It will take discipline on your part. Understand your body composition. You should know how much fat you have. 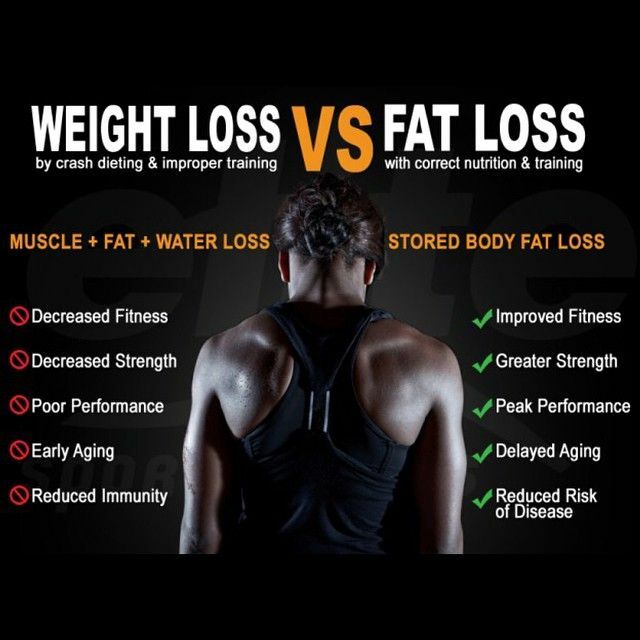 Read The difference between fat and muscle. 1B. 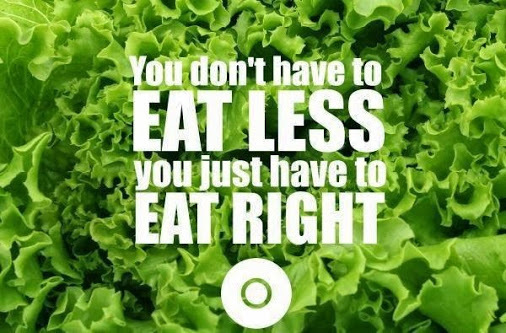 Use it or lose it is the undeniable, irreversible law of the body. It applies to all your muscles and major organs including the brain. 2. Change happens on the margin. Small changes over a period of time are more effective than doing a drastic crash diet hoping to fix yourself in a week or a month. It took you months or years to pack the weight on, give yourself time to take it off so it will stay off. 2A. There is no single diet and fitness program that will work for everyone. Listen to your body. Its signals will help you find the nutrition and fitness regimen that is right for you. 2B. Start the day with a healthy breakfast. That way you are fueled and ready to operate. It will also keep you from late morning junk food snacking that sneaks in calories you don’t need. 3. Some 60 percent of the population is overweight and 30 percent is obese. If you are willing to discipline yourself and follow the suggestions you find here, you can get to the right side of those percentages. 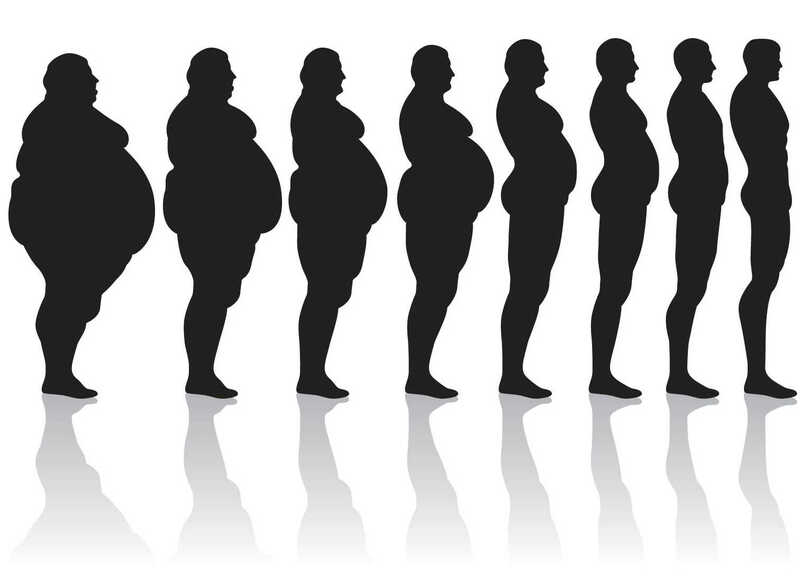 The New York Times says, “Between 1975 and 2005, the average weight of Americans increased by about 20 pounds. Since the 1970s, the national obesity rate jumped from around 20 percent to over 30 percent.”Among youngsters, some 15 percent of those ages six to 19 are seriously overweight. That’s nearly nine million, triple the number in 1980. 3a. To get a handle on your relationship with your body read What Have You Done for me Lately? also Move Ya Body. Weighing yourself regularly is a good tool, but don’t fret over adding a couple of pounds overnight or a few days. Water retention and elimination can account for that. It’s the trend that you need to focus on. 4. Portions have become TOO LARGE in fast food restaurants, regular restaurants and home. If you are eating with a friend, think of splitting portions. If alone, take something home, or just leave half there. You don’t want to waste food? But you can’t continue to waist food, either. Understanding serving size and portion control will take you a long way on your weight control journey. 5. We all love to eat. The trick is to do it in a healthy way. Clear away mental obstacles. 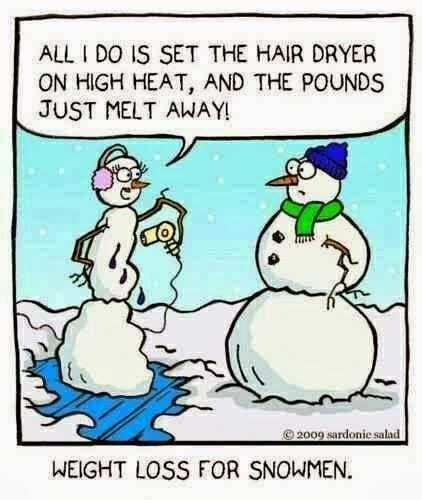 Click here to start taking off those unwanted pounds. Drinking a glass of water before a meal will help to give you that ‘full’ feeling and cut down on your total eating. 6. Maintaining proper weight is critically important to the health of your brain as much as your body. 7. Don’t separate fitness and nutrition when it comes to maintaining or achieving a healthy weight. This is truly a marriage made in heaven and there is no divorce. 8. To lose weight you want to create a negative energy balance. Take in less calories than you need in a day and your weight will melt off. Any calorie table can give you that number. Simple math: 3500 calories = 1 pound, never forget that. Cutting 500 calories a day loses 1 pound a week. If you eat 250 fewer calories and burn off an extra 250 calories, it will have the same effect as cutting 500 calories. 9. Everything you eat and drink becomes a part of you. Pay attention to what you are consuming. 10. Check out this brilliant pair of slide shows from the U.S. Department of Health and Human Services that demonstrates how portion sizes have ballooned in the past 20 years PDI – Portion Distortion 1. 11. This is the world’s largest organization of food and nutrition specialists. The American Dietetic Association ADA’s Report. 12. Get a handle on dealing with your stress. A pint of Rocky Road is not the answer. Check out the numerous posts on stress and its opposite relaxation in the column at the right of this page. 13. As I am a senior citizen I will be dealing with aspects of aging including brain functions and memory. Check out the item Memory Loss is not Inevitable for Seniors. 14. You need to exercise. Exercise is your two-edged sword. You do it to work your muscles and remain in top physical and mental condition. AND, you can do it to burn calories and help in weight management. Or Some combination of the above – equivalent episodes of at least 10 minutes spread throughout the week. 14A. Be careful using free weights. Seniors: If you weigh 150 pounds, you should not exercise with more than 60 pounds of weights because as you age, the spinal discs are not as flexible and the risk of a back injury increases. Check out my post on How Much Should You Lift here. 15. Fitness trumps thinness. It is better to be somewhat overweight and active than a skinny couch potato. Eat less; Move more; Live Longer. 16. You can take a 16 segment visual interactive tour of the brain here offered by the Alzheimer’s Association. 17. For a simple list of dietary tips read Dr. Oz Gives Dietary Tips. 18. Keeping a food diary is a big help. There are a number of them available on the web and for smartphones. Find one you like and use it. It keeps you aware of how much you have been eating and also to see patterns in your consumption habits. It also gives you the nutritional breakdown of your foods so you can see if there you are eating too much salt, sugar or fat. It also makes you more accountable. You may think twice before overindulging. Last, but not least, check out my post What About My Weight as I Age? In late May 2014, I added How Processed Foods Hinder Weight Loss. I was a big yo-yo dieter when I first started my weight loss journey 6 years ago. If I had known what I know now, this probably would have been my 6th year of maintaining instead of trying to still lose, but for the past year I have been very consistent with my weight loss. I can honestly say I don’t think I will have much of a problem with that anymore now that I know that you have to keep both exercise and a healthy diet a constant thing. If one goes lacking, eventually the other one will as well. I learned that the hard way, but the good thing is I know now. Thanks so much for this blog! These are some really helpful and informative tips! Thank you for sharing. I am happy that you seem to be on the right track now. Keep it up! For year’s I have been dieting, you name it I have been on it and I have a great amount to lose, In 2014 I started on a diet finally I was serious and since then I have lost over 70 lbs, and I still have a more to loose before I hit my goal, and the thing is, when I started losing I didn’t include exercise well only a little, but now I am getting serious about exercise and workout 3 days a week, with all the good information here all I can do is win this weight loss, Great tips, Thank you. Thanks for sharing that. Congrats on trimming over 70 pounds. So, you know you can do it. I think the biggest thing is the mental hurdle. Remember that everything you eat becomes a part of you. Ask yourself if you want to add that (pizza, sundae) to your system. Good luck! This blog is so helpful! Some of these tips i’ve used and they work really well. I’m thinking about trying cleansing in combination with my workouts. It seems really cool! What do you think? Thanks for stopping by. I don’t know anything about cleansing. Sorry. Thanks for the detailed blog.It really helpful to provide infomation about how to get rid of unwanted weight gain. Thanks very much for sharing that. Much obliged!